Today I became re-acquainted with an old friend. My Confetti Quilt Work In Progress. All of this hexy making has made me long for more hexy making. I no longer work these days and have had a few medical issues that mean I will be unable to work for the foreseeable future so not only can I not afford to buy another expensive pattern but I really can't afford to buy the fabric that would need to go with it. 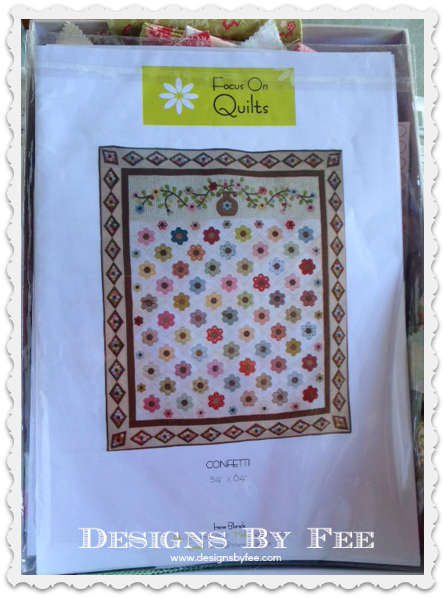 So instead I decided that work must resume on my Confetti Quilt which is one of Irene's designs and is just lovely. I began making this quilt in Fig Tree fabrics from a number of different ranges and have quite a large box full. I have all of the papers to complete the quilt and the only thing holding me back was the fact that I was never completely sold on my fabric choice. To be honest I think that's why it has been sitting in the cupboard for a very long time. 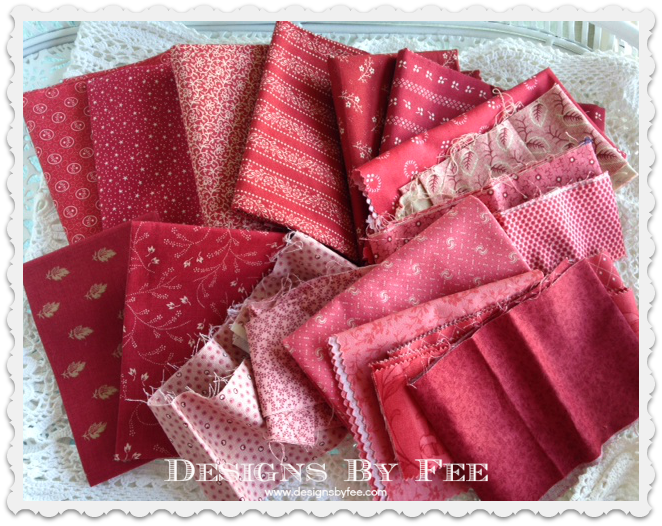 So today I went "Stash Shopping"and decided to make the quilt in traditional reds and pinks. I have quite a few reproduction fabrics in my stash and was quite surprised that I had this many to get me started. 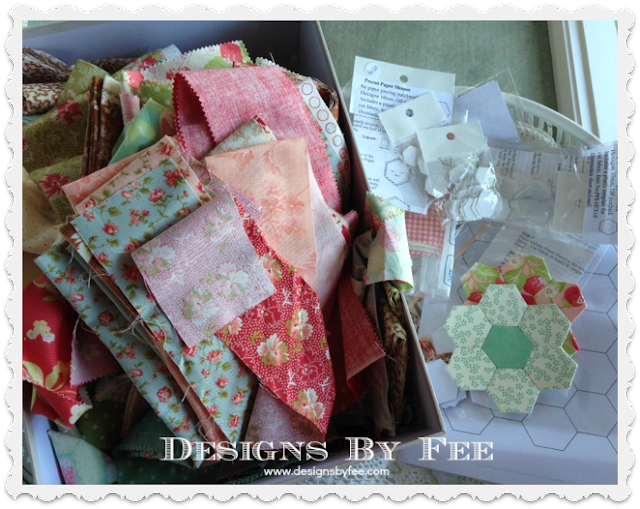 I'm going to cut a few hexagons this afternoon to get me started and begin my new love affair with this quilt again. I've made a deal with myself that if I get this one finished that I can buy myself another of Irene's patterns. I will have quite a bit of time to save up for it I think ! I have discovered in recent times that I have a number of food intolerances that have built up over time and a recent extensive test highlighted a list of 24 of them ! I have been battling with weight gain, diet, and just the overall desire to rid our household of preservatives and processed foods for a long time but at the same time trying to eat healthy. It can be such a mine field. There is no wonder that it is a multi billion dollar industry world wide - Everything is just so confusing but I think that I have finally come to a decision in my head (more on that next time) BUT for now due to limited funds it is about using up what we already have in our pantry and freezer so today I took out the frozen fruit that has been sitting there for a little while unused and as our home made raspberry jam stock is getting pretty low I decided that it was jam making time. Just how grandma used to make with no additives. I ended up with a little over 4 jars of fresh jam. It should get us through to summer when the raspberries begin to produce. It always feels good to make something in the kitchen and to add to our cupboard food stocks. 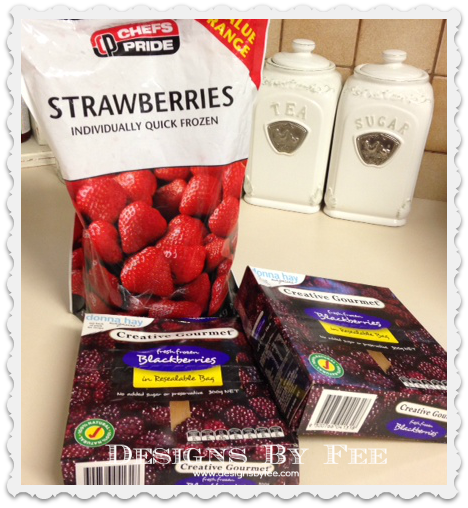 I am thinking that Kiss biscuits and jam drops are in my future !! Oh well I had best be off to begin cutting these little hexies for "Confetti" hopefully I will have some progress in the next few weeks. 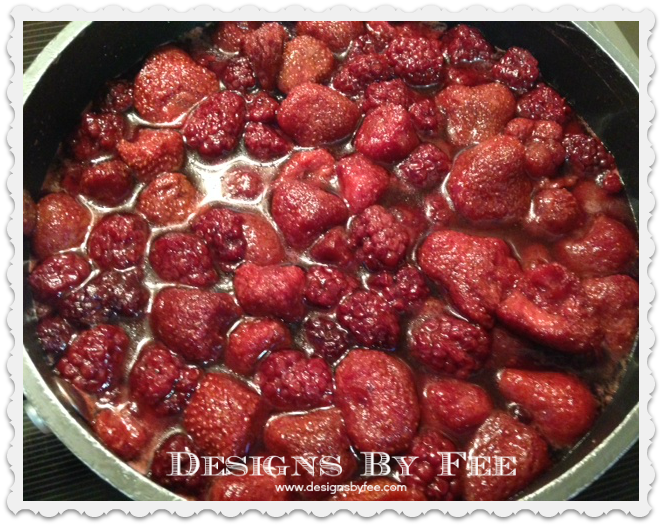 Wow Fee the jam looks great. Your confetti quilt will be lovely. I have just started with hexagons myself and I am enjoying how relaxing they are. (Well after the 1st flower which took forever). I am glad you are finding answers to your health issues and coming to decisions that sit well with you. Sometimes making the decision is the hard bit. Oh Fee, so sorry to hear that you have health issues that are stopping you doing what you want to do. May they clear up in a hurry and allow you to get back on with whatever plans you have for your future. In the meantime a more simpler life with less stress is a great healer. 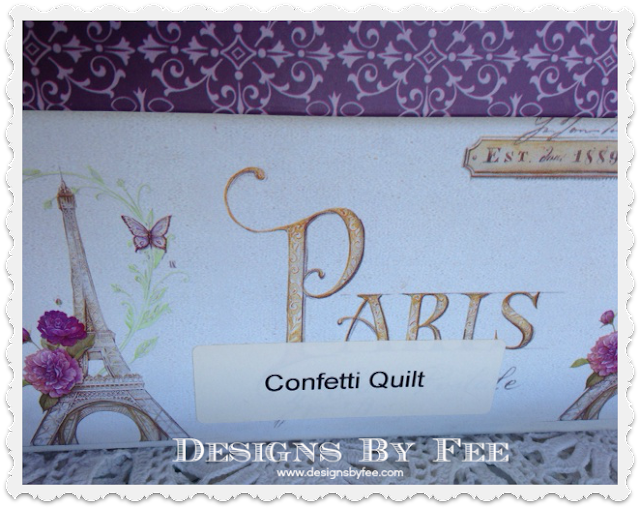 I LOVE your confetti quilt - color choices are great. Isn't it more fun sometimes to just "shop" what's in your stash than going out and buying new? I find it very satisfying to use what I already have. 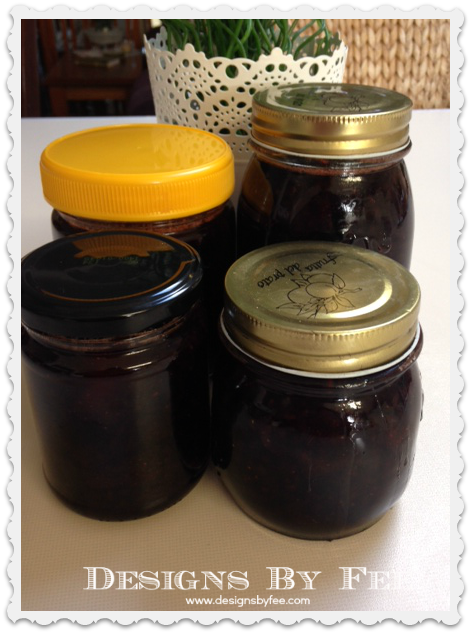 Jams look very tasty. You'll have to share your "KISS" biscuit recipe.